One of the big food events that I look forward to every year is the NAIT Chef in Residence luncheon. This program brings the Culinary Arts students an opportunity to learn from an accomplished chef - it's an opportunity that many people do not come across in their culinary careers. 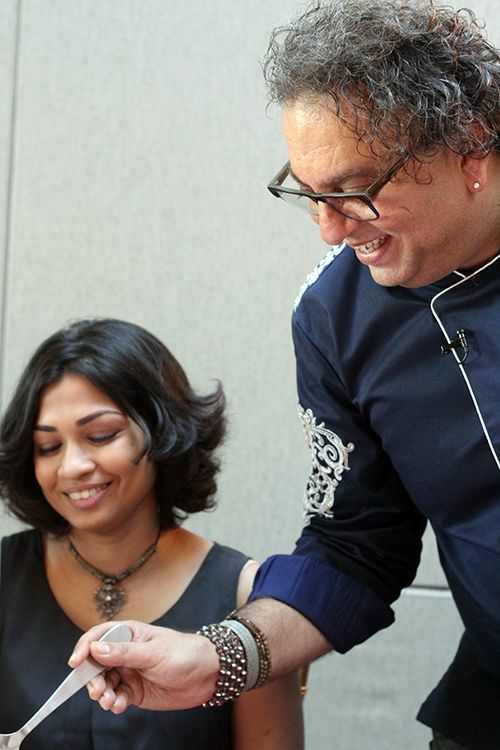 Three weeks ago Chef Vikram Vij spent a week with the students and worked with them to create a menu that would transport diners on a trip through India. When I arrived I was quite surprised to find Chef Vij himself personally welcoming all the guests to the lunch, as often the chef will be in the kitchen overseeing the final preparations for the meal. 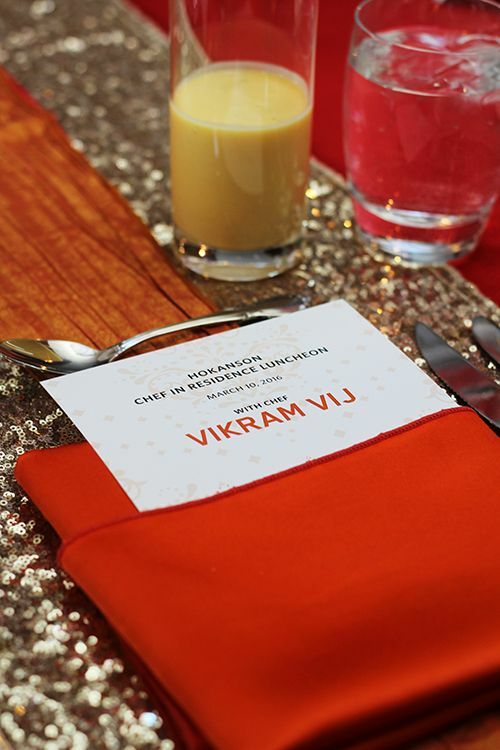 Just as he does at his restaurants in Vancouver, Chef Vij introduced himself to each guest. Hospitality really is his specialty, and he was such a bright personality in the room. 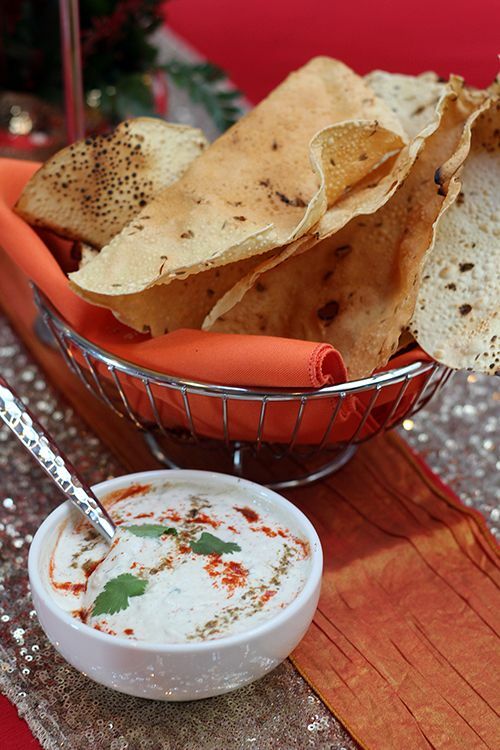 The tables were preset with a glass of mango lassi and baskets of fragrant papadums to nibble on as guests arrived. I loved the vibrant colours and sparkle of the sequins at each table. Our meal started with an appetizer duo of salad and prawns. 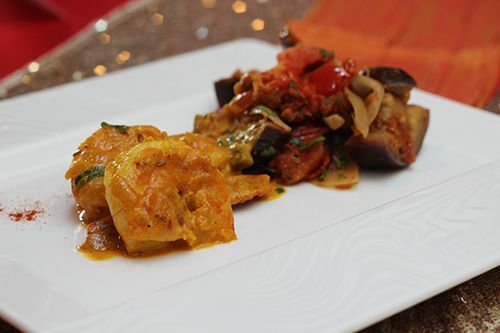 The prawns cooked in coconut masala are a Southern Indian dish, being lightly spiced and fragrant. The warm eggplant salad was surprisingly my favourite part of the dish. I usually enjoy my eggplant soft and thoroughly cooked, whereas this salad featured tangy, crunchy eggplant mixed with onion and tomato. 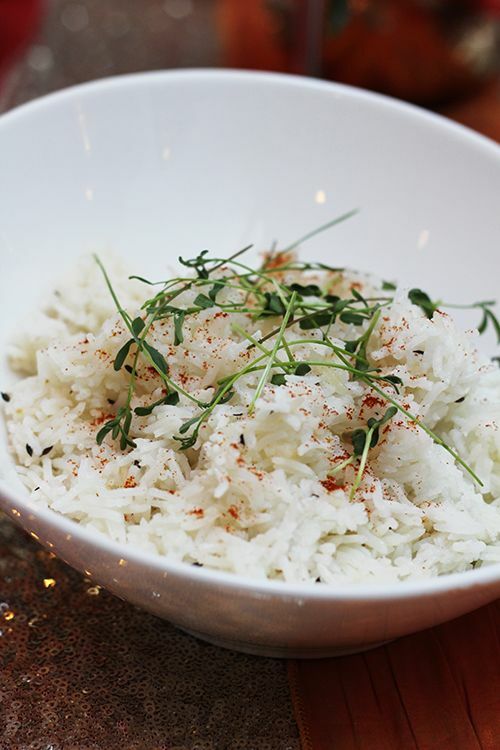 I definitely need to learn how to recreate this dish at home! The rest of the meal was served family-style, starting with Kerala-style coconut curried vegetables and cumin-scented basmati rice. 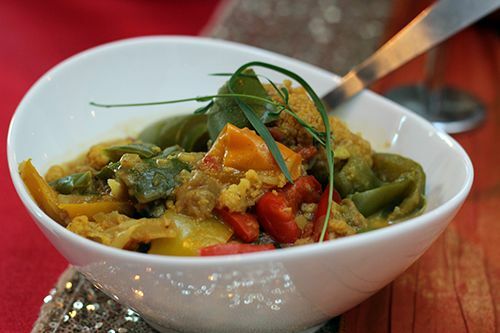 Chef Vij explained that the vegetables had been slow cooked for 4 hours to suit his mother's palate, and while the vegetables lost their usual form, they soaked up all the flavour of the curry. Vij encouraged everyone to try eating with their hands, and I've learned that I'm awful at it. 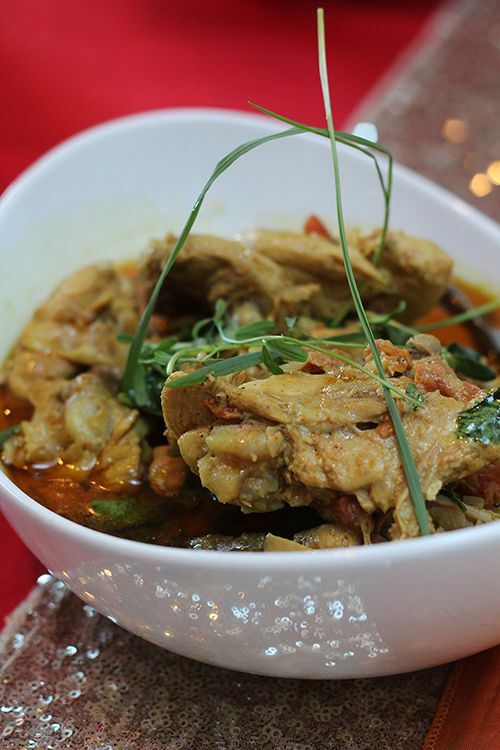 Next up came Vij's signature chicken curry, which he eagerly loaded up onto everyone's plate. There is often a misconception that Indian food is full of heat from spices, but Vij explained that Indian food should not make you sweat and hurt the next morning - curries are meant to be subtle, layered, and flavourful. 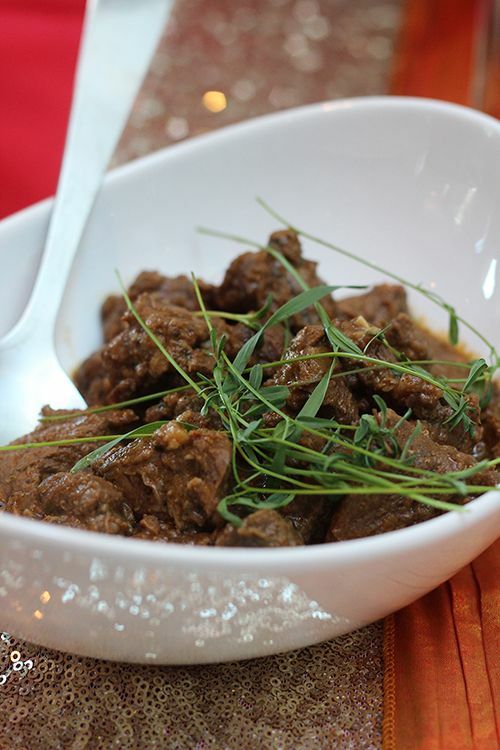 The final savoury course was a North Indian style stewed cinnamon scented lamb curry. Unlike a typical curry, this one was dry and the chunks of lamb more closely resembled that of a stew. The lamb was tender and the dish perfectly spiced. 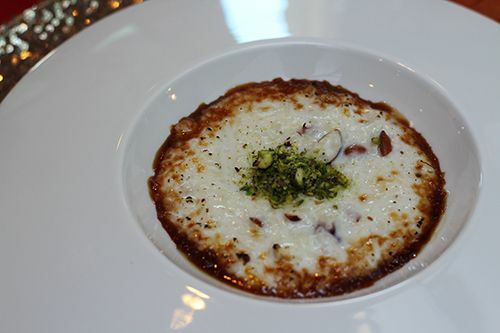 For a sweet touch at the end of the meal we were each served a portion of rice pudding brulee topped with crushed pistachios. Lightly sweet, the dessert featured the flavours of rosewater and cardamom, while bitter notes came from the caramelized sugar on top. It was truly a great experience eating lunch prepared by such a humble chef. Acting as the Chef and Front of House is no easy feat, but Chef Vij made it look easy. This lunch was one of the best Indian meals I've had to date, so that goes to show the caliber of talent of NAIT's culinary arts students. Thanks to NAIT for including me in this year's luncheon - I can't wait to see who takes the role of Hokanson Chef in Residence next year! Barbecued meat and beer, could there be a better combination? 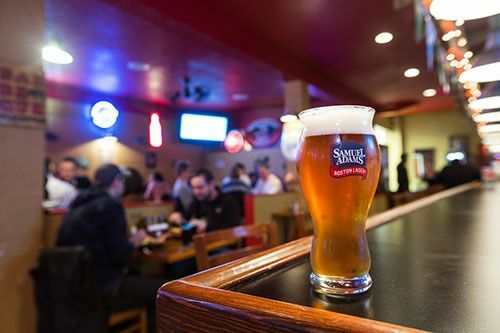 As part of a series of restaurant takeovers, Samuel Adams is connecting with local restaurants to create special menus pairing food with their Boston Lager. In Edmonton, Samuel Adams is partnering with Smokehouse BBQ to create Triple B Tuesdays, where a sampler plate of brisket, ribs, and slaw are served with your choice of chips or fries for $14.95. Combined with pints of Samuel Adams on special, you've got your triple B's: brews, brisket and bones. Last week I stopped by Smokehouse BBQ for their VIP night to celebrate the launch of Triple B Tuesdays. Baskets of crispy housemade chips and cornbread greeted us at our table, and I probably could have eaten just their chips all night! They were well-seasoned and fried to perfection, I would definitely recommend a side of chips with your brisket and bones! 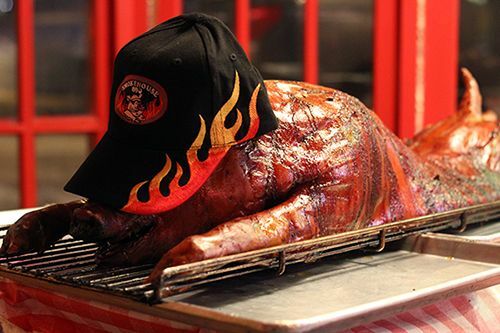 In true Southern fashion, a ‘Carolina Pig Pickin’ had been planned for the evening to kick off the collaboration with Samuel Adams. What exactly is a pig pickin? 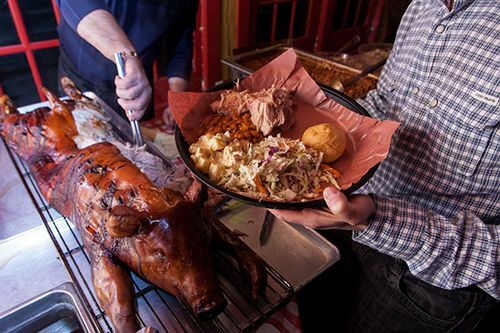 It’s a large gathering where a whole pig is barbecued until it is tender enough that the meat falls off the bone. Our guest of honour that night was seasoned and stuffed with garlic before cooking in the smoker for 7.5 hours. After spending the majority of the day in the smoker, the meat was juicy, tender, and literally fell off the bone. A vinegar-based Carolina BBQ sauce on the side cut the fat of the meat, and I really enjoyed its tanginess compared to the sweet flavour of traditional BBQ sauce. Samuel Adams’ Boston Lager was a great beer to pair with the meal given its light flavour and smooth finish. With buns, slaw, baked beans, and potato salad to accompany the pig pickin, it was a delicious night to remember! 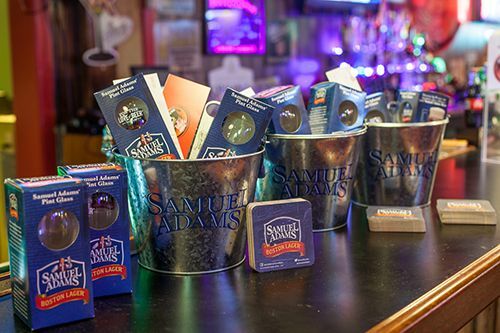 It’s great to see Samuel Adams reaching out to restaurants to create new experiences for customers by pairing food & beer. 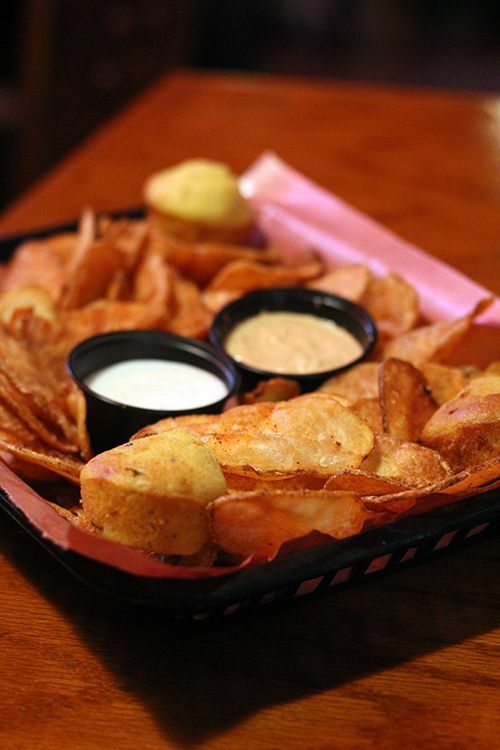 The fun, casual atmosphere of Smokehouse BBQ makes it a great spot to meet with friends or unwind after a long day. So if you're looking for a new date idea or a place to kick back on a Tuesday night, stop by Smokehouse BBQ for Triple B Tuesdays! *Disclosure: I was invited to the VIP launch for Triple B Tuesdays, and am receiving compensation for this review. Views expressed in this post are solely mine. This post is 100% my opinion, and as always, my priority is to you, the reader, to present an unbiased, thorough review. Hop on the Nandwagon - Nando's PERi PERi Chicken is Here! When a well-known restaurant chain comes to town, people get excited. Big advertisements can be found throughout the city and people get talking. That's right, I'm talking about Nando's, which opened up last week in the south end of the city. Nando's roots go back to 1987 in Johannesburg, South Africa. Two friends, Fernando Duarte and Robert Brozin, had a meal of chicken cooked in PERi PERi sauce and loved it so much that they bought the restaurant and renamed it. 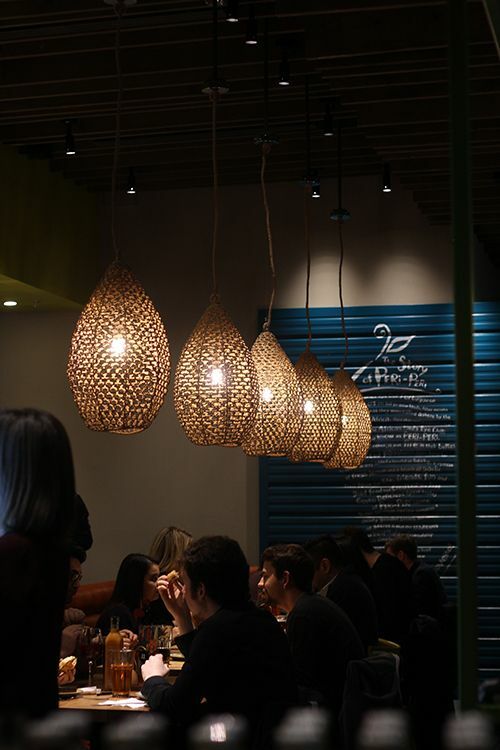 Since then the franchise has expanded rapidly and now Nando's operates over 1000 outlets in 35 countries. So what exactly is PERi PERi? PERi PERi is a chili sauce originating from Mozambique, made from the African Bird's Eye Chili. Nando's adopted this chili to be it's signature flavour, and the sauce is available in four different variations: Garlic, Medium, Hot & Extra Hot. As I have never had the Nando's experience I was excited to get a sneak peek prior to their official opening. As I walked in I was immediately drawn to their use of bright colours and modern decor, which gave the restaurant a fun, welcoming vibe. Most tables in the restaurant accommodate groups of four, while larger booths and communal tables can seat larger parties. 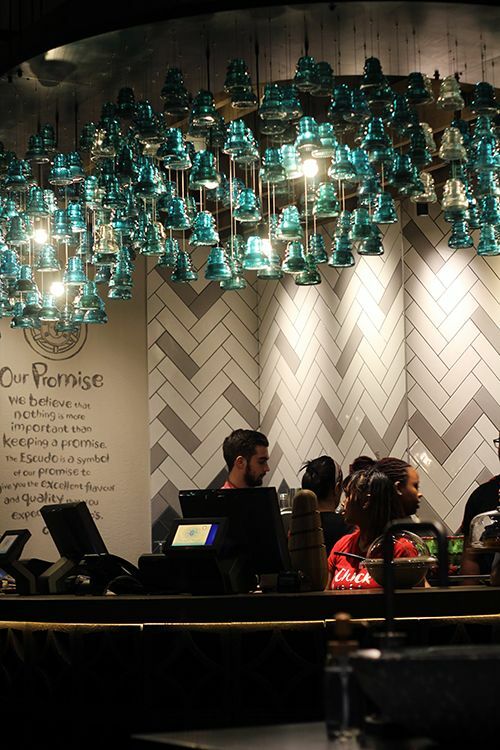 Like many fast-casual dining spots, Nando's uses a self-service system. After perusing the menu, you head up to the counter to place your order and a server will bring your food out when it is ready. While this isn't a dining style for everyone, I definitely appreciate this dining model as you can set your experience to your own pace. For the evening we weren't able to order individual dishes from the menu, instead we were presented with a sampling of items made by the restaurant. 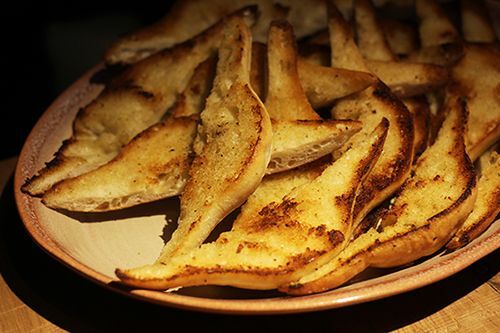 Our night kicked off with the Portuguese Garlic Bread ($4), where Portuguese buns are smothered with a garlic and herb spread and finished on the grill. The bread was flavourful, grilled to a nice crisp, and acted to help us try out all the different PERi PERi sauces at the table! Shortly after, our table was presented with Roasted Red Pepper Dip ($6.50) and Hummus ($6.25) with warm pieces of pita. Of the two, I really liked the natural sweetness and chunkier texture of the red pepper dip. 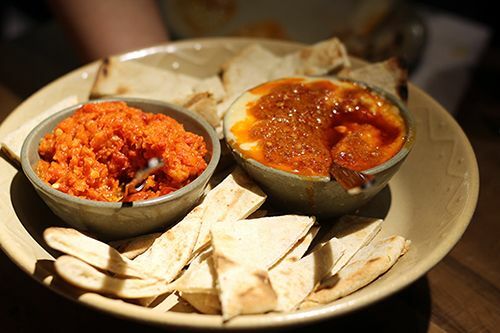 The hummus on the other hand was smooth and topped with a slightly tangy PERi PERi drizzle. At Nando's the chicken is guaranteed to be fresh and never frozen. Their famous Portuguese-style flame grilled chicken is marinated for 24 hours, then basted in your choice of PERi PERi sauce to finish before your meal is delivered to your table. Like many other restaurants that specialize in chicken, you can order a whole chicken, half chicken, or quarter chicken at Nando's. 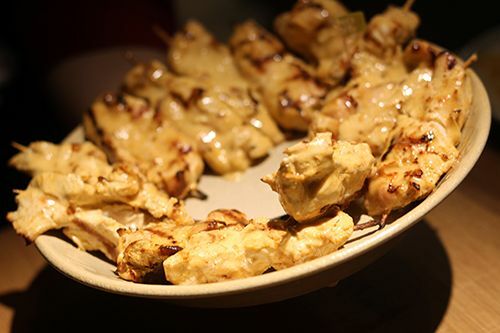 There's also the option of chicken skewers, so we tried the lemon and herb chicken skewers ($9/2) and quarter chicken pieces ($7.75). The chicken was fantastic - tender, juicy, and so flavourful. Given the volume of people they had to serve that evening, I was very impressed and would definitely return in the future knowing I can count on getting some good chicken even during the lunch or dinner rush! PERi PERi Sliders ($8.50/3) made their way to the table next, and these delicate little buns held PERi PERi chicken, lettuce, tomato, cilantro dressing, and chili jam. The flavours were well balanced, and I enjoyed the sweet and spicy kick of the jam. 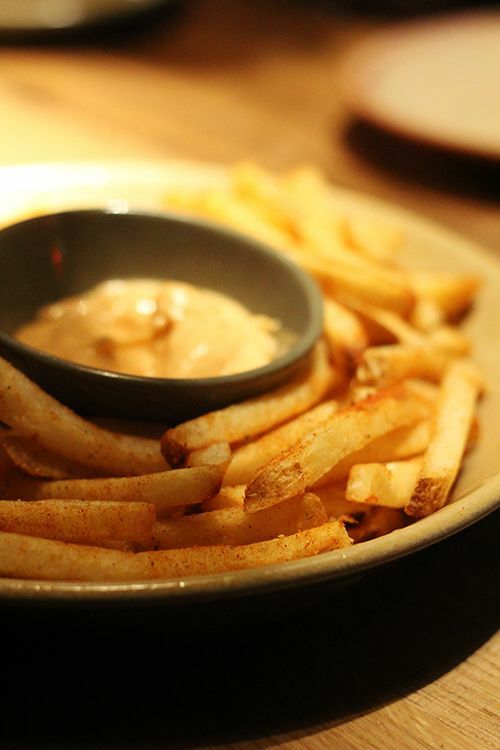 Our last savoury dish of the evening was a piping hot order of PERi PERi Fries ($3.50/small) with PERi-naise to dip. The fries were crisp and seasoned so as not to be overly salty - I could probably just eat a bucket of these fries and call it a day. 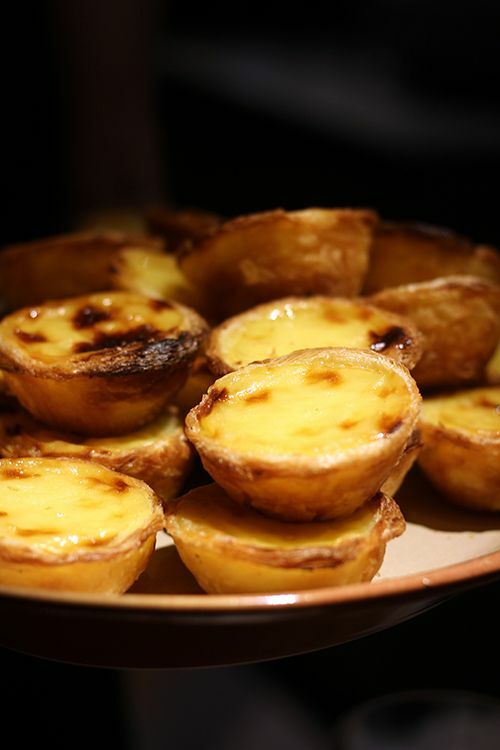 To round off a meal, Nando's offers four different dessert options: Pasteis de Natas (Portuguese Tarts - $2.50), Carrot Cake, New York Cheesecake, and Chocolate Cake. Portuguese egg tarts are one of my favourite desserts, so I was excited to see if Nando's version could meet or exceed my expectations. With a crunchy, flaky pastry crust and a mildly sweet egg custard in the middle, these natas were near perfect for me! 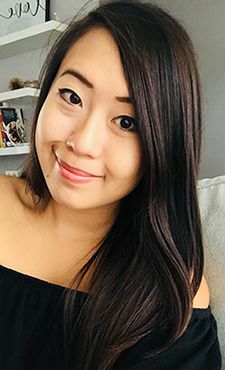 Having another restaurant open up in the South end of Edmonton is great news, especially for those working in the area. 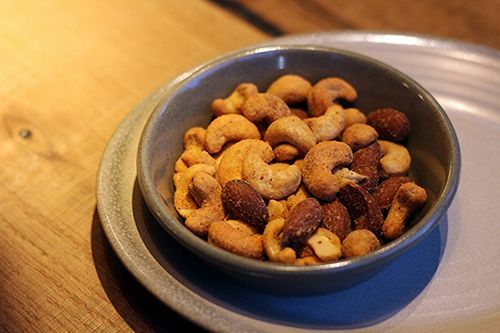 Nando's has a fun, inviting atmosphere and caters to a variety of crowds, including families with children. The fast-casual dining concept works well, and as long as food quality is consistent I can see Nando's sticking around for a while. I'll definitely be back in the future for some more juicy PERi PERi chicken, and of course a dozen natas to myself! 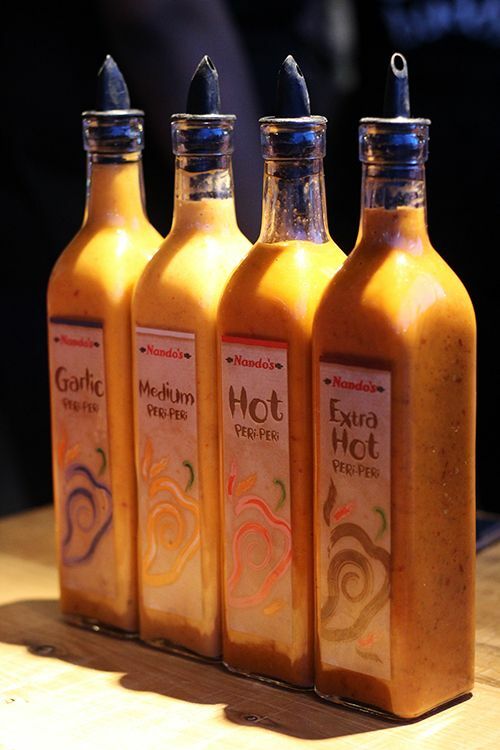 Have you tried Nando's yet? Let me know what you think! 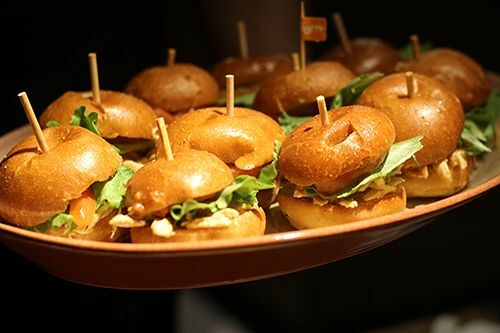 *Disclosure: I was invited to try Nando's as media at their launch event. Views expressed in this post are solely mine. This post is 100% my opinion, and as always, my priority is to you, the reader, to present an unbiased, thorough review.